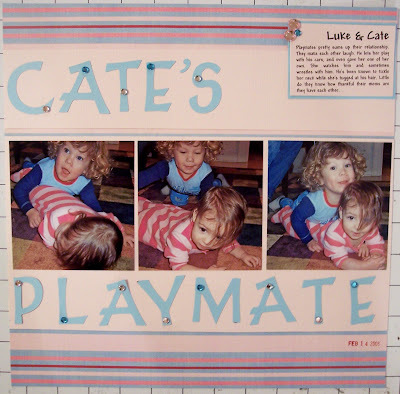 152 Insights to My Soul: Cate's Playmate ... Better? Thanks for your feedback, fellow scrappers! Now, do you all think this is better? Teaque, my ribbon selection just wasn't working on that page for me ... I didn't have the right shade of blue and the pinks weren't doing much for me either.